Our Park Snooze and Fly Package includes 1 week of free parking at the hotel near while you're enjoying vacation and a one night's stay at Home2 Suites by Hilton the night before your flight. Alternatively, we can provide hotel accommodations on the night of your return. If you have a late landing, staying the night of your return is also an option. You can take advantage of parking your car at the hotel prior to your flight and getting well rested at the hotel the night of your return. Our Park Snooze and Fly Packages are an excellent way to make airport parking convenient and affordable. The Home2 Suites by Hilton allows late arrival check-in so you know your room will be ready even if you have a late landing. If you need more parking than the included free parking at the Home2 Suites by Hilton, you may extend the parking duration for an additional fee of (12.50 Per Additional Day) paid to the hotel. 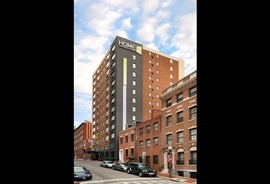 Meet the Home2 Suites by Hilton! Once again, expect an exceptional stay with this distinctive hotel! All of the rooms with this property are suites, which ensure that you will have the space you need! The hotel rooms include a nice sitting area with a pullout sofa, which conveniently turns into additional bedding! Another perk of the Home2 Suites is the full kitchen in every room! Store your leftovers in the full-size refrigerator, or reheat them in the microwave. The kitchen also includes a sink, dishwasher, and china for six place settings. Enjoy a cup of coffee, and should you need an induction burner cooktop, simply ask the front desk. In the morning, breakfast is included. Bite into warm breakfast sandwiches, try some fresh oatmeal or grits, and plug in your laptop at the table. Have a wonderful stay at the Home2 Suites! 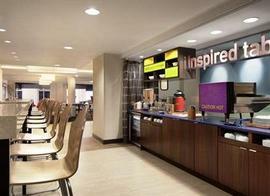 Click here to see all of our Home2 Suites hotels which we offer in alternate cities. Parking Attributes: Garage, Patrolled, Unsecured Parking is provided for one car per room. Transfer Note: Hotel does not offer transfer service to or from the airport.